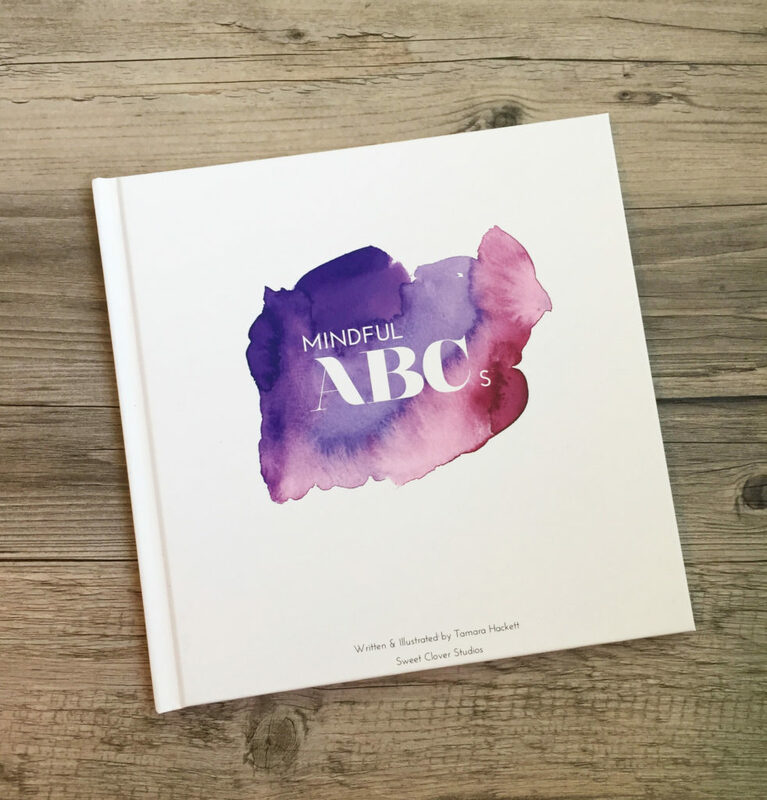 PLEASE NOTE: The hardcover Mindful ABCs book is currently sold out. The softcover version is still available on Amazon. 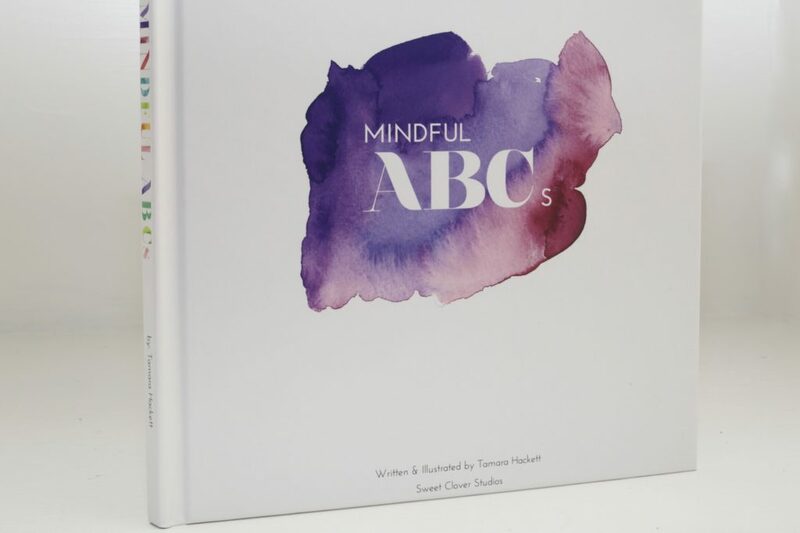 Mindful ABCs – A fun and easy introduction to meaningful vocabulary and important life concepts for children. 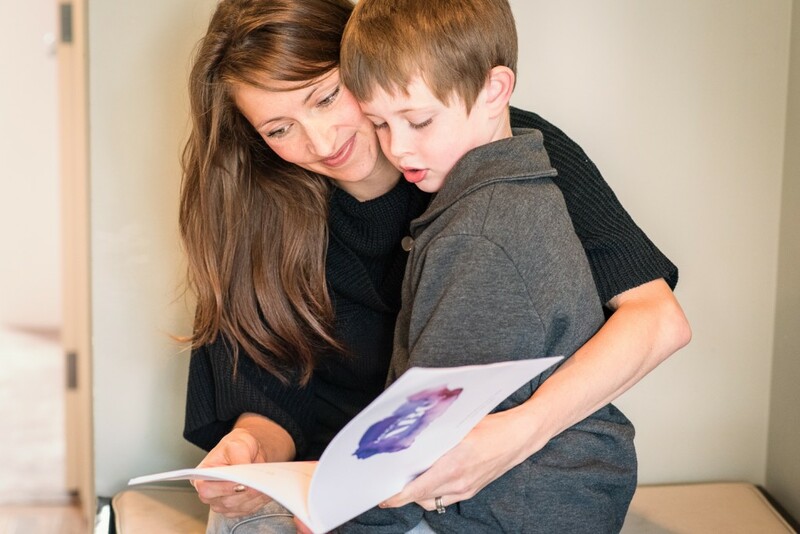 Throughout my experience, as a childcare professional (for over 15 years) and as a Mom for over 9 years (and counting…) people have often asked my how I am able to communicate with children the way I do. People will ask “Did your 3 year old really just say that she appreciates you? ?” Indeed. She does. She has also told me how she is using her senses to know when someone is happy or not. 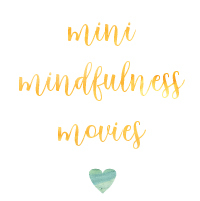 These are the types of developments I have seen from children (beyond just my own) who have read Mindful ABCs. Which is why I am so thrilled to see it now on the market. Below I will share some more details about the book and how (and why) I formatted it the way it did to make it as effective as possible in connecting with it’s young audience. 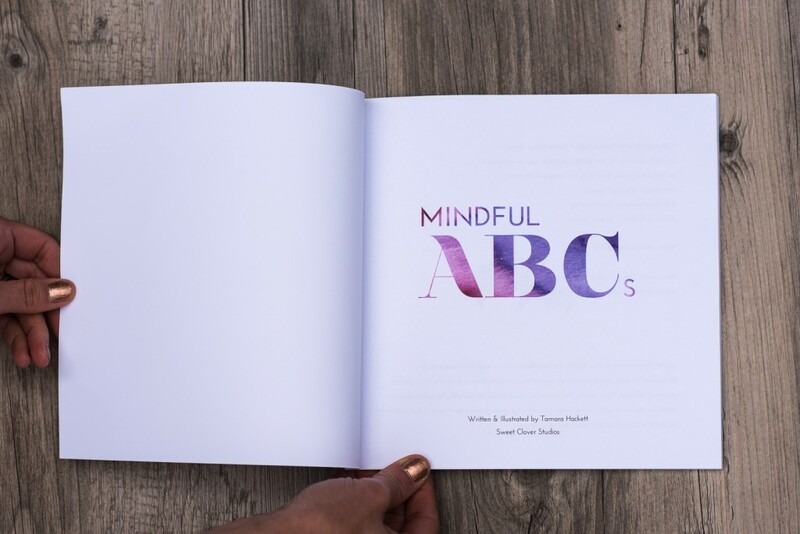 Mindful ABCs starts at the beginning of the alphabet and goes all the way through to Z. 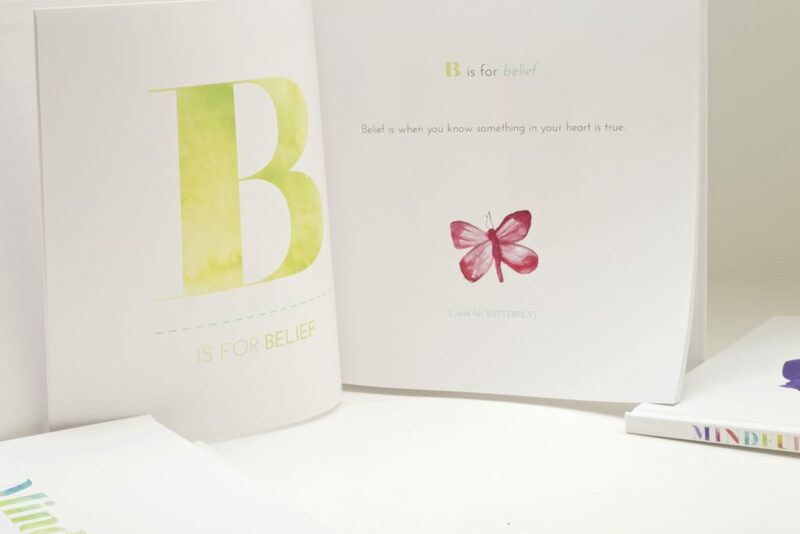 Each spread begins with an art-print quality showcase of the letter along with a word that corresponds. On the right-hand side is then the original definition (as produced by the author…me) as well as a watercolour illustration of an animal (along with the name of course). As I have learned over the years, children often need a point of familiar reference to start getting engaged. This is why the animals make such a strong presence in the book. 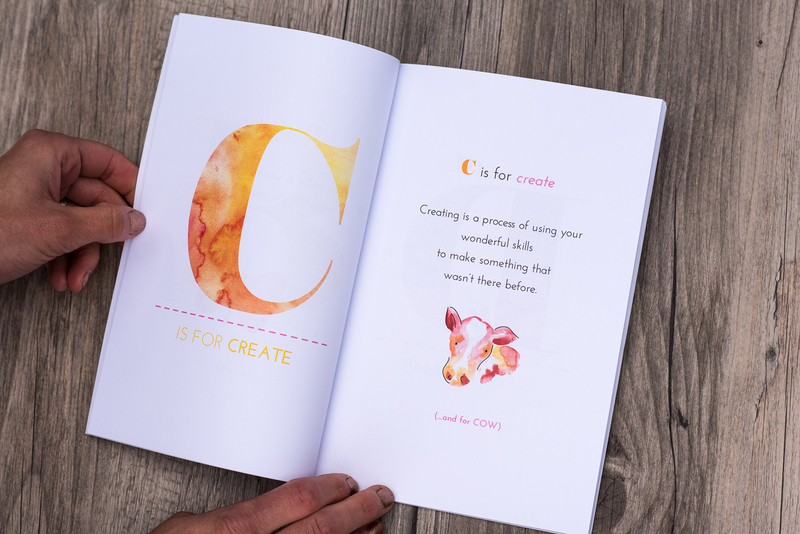 Reading definitions of words could certainly be boring for a child but they are kept as a partner to the names and images of the animals so they continue to be interested and responsive throughout the entirety of the book. 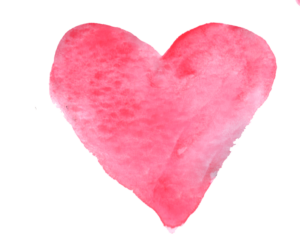 The definitions are also purposely crafted to be as simple as possible, short and use language that should already be in the child’s vocabulary. It’s not meant to be something to memorize. 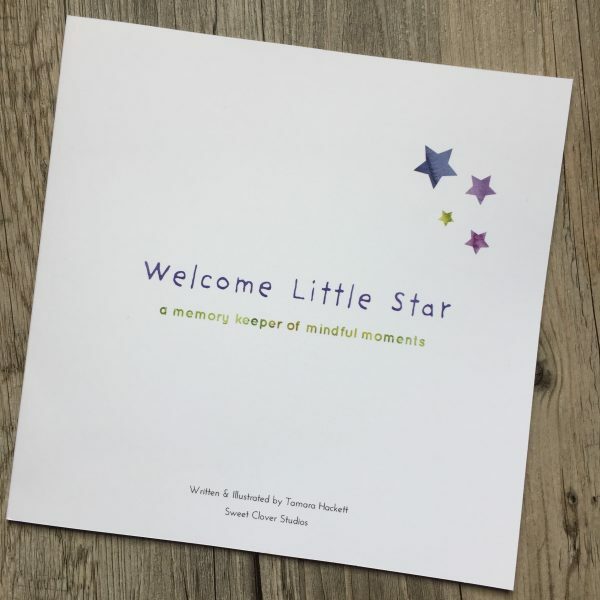 It’s meant to be a light-hearted introduction to get the little one to start to recognize how these words/feelings/concepts show up in their own lives. 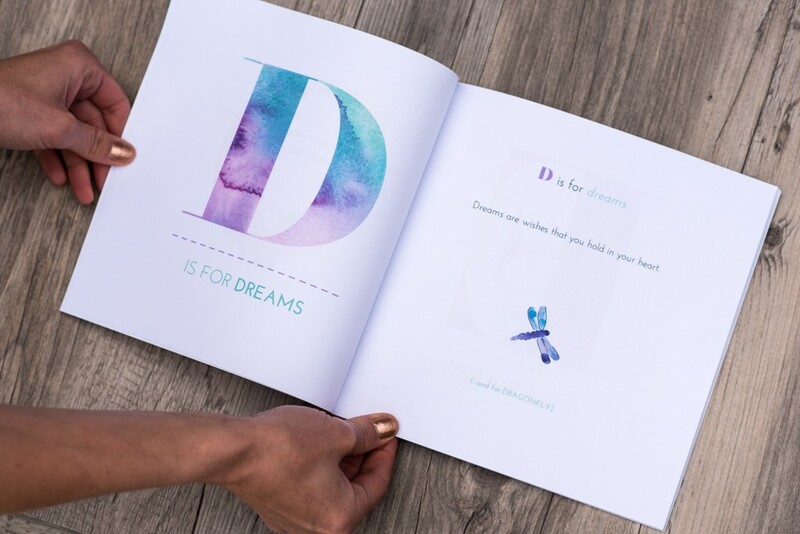 My son (for example) after reading the page about ‘dreams‘ whispered to me the next day that he wants to tell me 2 wishes that were in his heart that he never told me about before. You had better believe I had the best time ever hearing all about it. This book wasn’t created to be the be-all, end-all of what these words have to be. 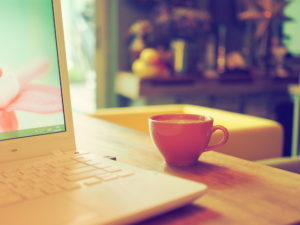 It’s a place to start. It’s helping a child identify a feeling. It’s to help them recognize it in themselves and others. It’s giving them permission to ask about new words and feelings they have. Ahh…freedom. Feels good to think about even as an adult. Whatever it is that you want to talk to your kids about – there is room for it in this book. 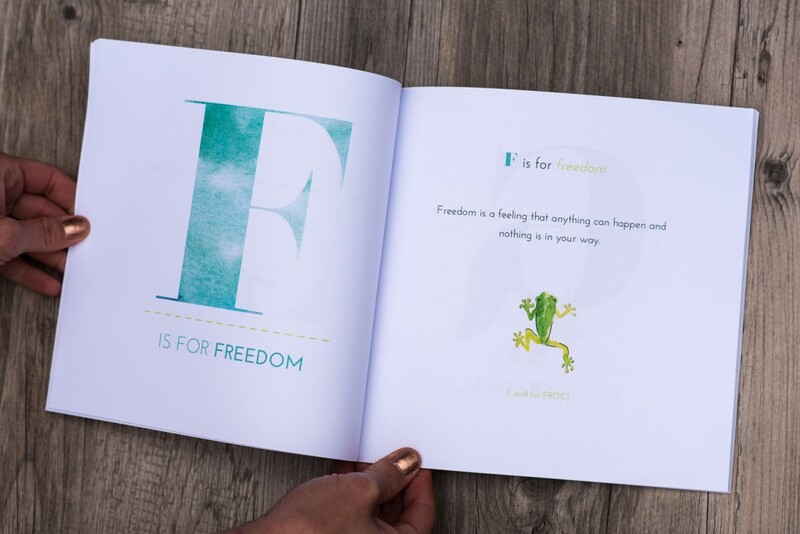 My mission is for you to use this book as a resource to open up a conversation that can be filled with fun, learning, and beauty that is important and can be applied to your situations, past and present. Now. For the other sorts of details, you may want to know when buying a children’s book. Available anywhere in the world! (In print, e-book and kindle versions) – See Amazon in your home country. 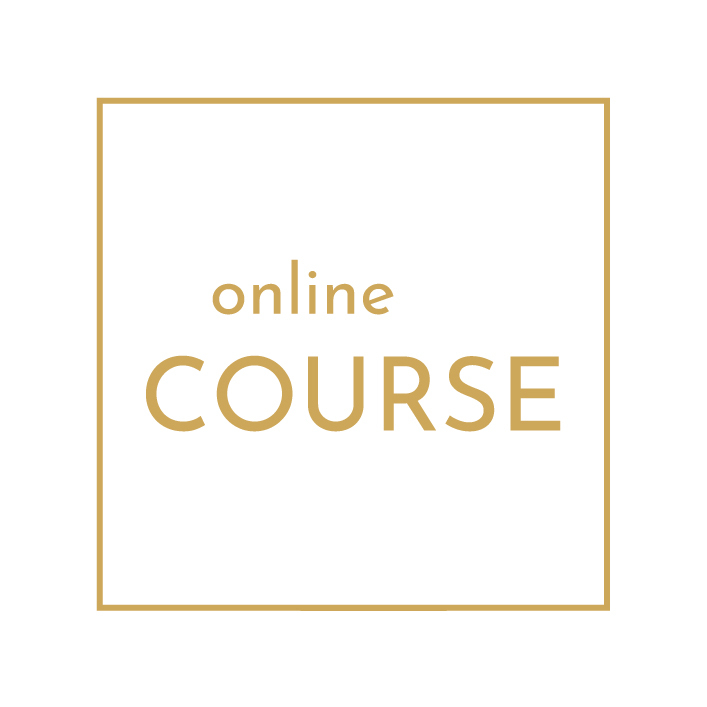 26 original definitions (you won’t find anywhere else) for words like: Energy, belief, freedom, create, mindful etc. If you would like to purchase a paperback copy (Print or digital format) – find your country on the buttons below and click to buy. If you don’t see the country you would like to order from I suggest going to Amazon online for wherever you are or send me an email directly here and I will see what I can do. Ps. Stay tuned to this page for availability in local (Calgary, Alberta) stores soon too!